View More In Heating, Ventilation & Air Conditioning. 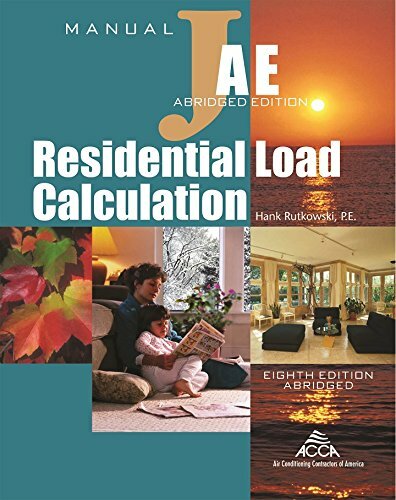 MJ8AE, an abridged version of the Eighth Edition of Manual J, provides complete instructions for estimating heat loss and heat gain for residential structures. MJ8AE is sufficient for learning the Manual J procedures and for undertaking hand calculations on a varied number of home applications. If you have any questions about this product by Air Conditioning Contractors of America, contact us by completing and submitting the form below. If you are looking for a specif part number, please include it with your message.